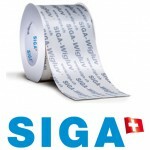 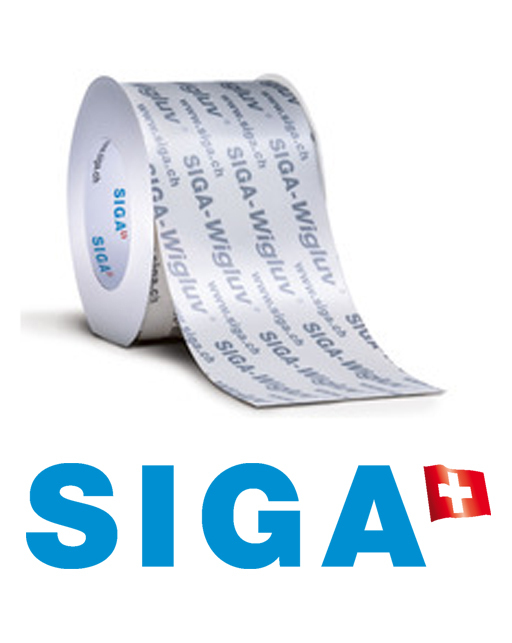 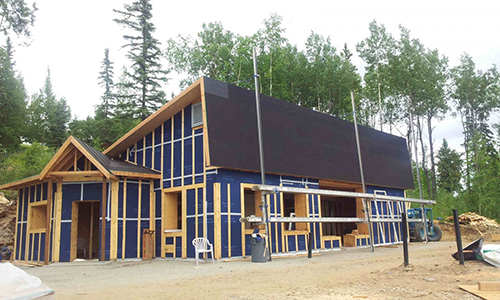 SIGA is a family-owned Swiss company that produces rain-proof and diffusion-open breathable membranes suitable for creating a permanently wind-tight building envelope. 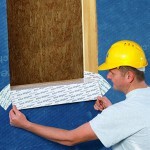 It can be used for between and above-rafter insulation and for rear-ventilated (rainscreen) facades. 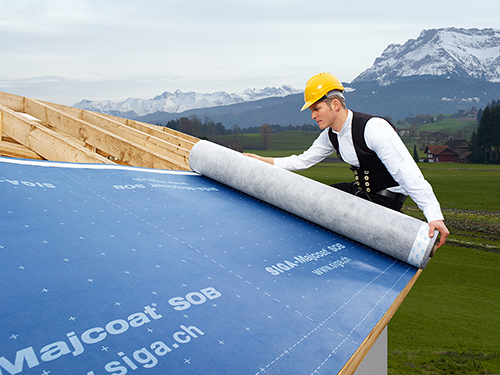 Driving rain resistance of Majcoat and SIGA accessories has been proven by the Techical University of Berlin. 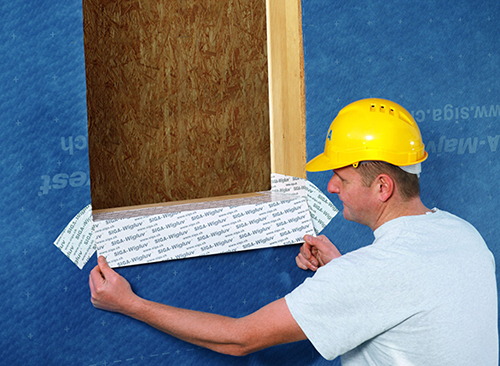 There are three types of membranes in the line; a roof membrane (Majcoat), a facade membrane (Majvest) and a vapor control layer for interior walls (Majpell 5). 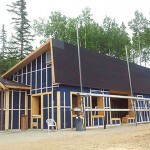 Various tapes are available to pair with the fabrics in order to create a permanent, air-tight building shell and a durable rain-proof and wind-tight building envelope.